Various studies over the years have examined the relationship between content relevancy and behavior. Almost everyone would agree that content must be relevant. But what is relevance? According to Wikipedia: “Relevance describes how pertinent, connected, or applicable something is to a given matter.” A thing is relevant if it serves as a means to a given purpose. In the context of this discussion, the purpose of content is to positively influence customer or employee behavior, such as increasing purchase frequency, purchase velocity (time to purchase), likelihood to recommend, productivity, etc. When we ask marketers and others how they measure content relevancy, we often hear, “We base it on response rate.” If the response rate meets the target, then we assume the content is relevant; if response doesn’t meet the target, we assume it’s not relevant. Clearly there is a relationship between relevance and response. Intuitively we believe that the more relevant the content, the higher the response will be. But measuring response rate is not the best measure of relevancy. Many factors can affect response rate, such as time of year, personalization, and incentives. Also, in today’s multi-channel environment, we want to account for responses or interactions beyond what we might typically measure, such as click-throughs or downloads. So, what is the best way to measure relevancy? The best-practice approaches for measuring relevancy are many, and many of them are complex and require modeling. For example, information diagrams are an excellent tool. But marketers, who are usually spread thin, need a simpler approach. that you have a good inventory of all your content and a way to define and count interactions, because once you do, you’ll be able to create a measure of relevancy. articles, tweets, etc.). We’ll call this C.
count). We’ll call this I.
We’ll count those as 17 content activities. As you can see, the difference is significant. I strongly encourage you to consider relevancy as a key measure for your content marketing. By tracking relevancy, you will be able to not only set benchmarks and performance targets for your content but also model content relevancy for intended behavior. This entry was posted in Alignment, Analytics, Customer Centricity, marketing, Marketing Accountability, Marketing and Sales Alignment, marketing automation, marketing automation software, Marketing Daily, Marketing Dashboards, Marketing Effectiveness, Marketing Management, Marketing Measurement, Marketing Performance, Marketing Strategy, Marketing Trends, Pipeline Metrics, Product Marketing, social media, sustainability, Uncategorized and tagged advertising, business, business intelligence, CEO, CFO, CMO, content creation, content marketing, content relevancy, customer buying journey, customer experience, customer lifetime value, customer relationship management, customer segmentation, email marketing, market research, Marketing, marketing accountability, marketing analytics, marketing and sales alignment, marketing dashboards, marketing metrics, marketing mix, marketing performance management, marketing performance measurement, marketing plan, marketing processes, marketing ROI, marketing trends, measuring customer loyalty, performance marketing, proving marketing, sales and marketing, social marketing, social media, social media platforms, strategic marketing, VisionEdge Marketing. Sustainability. Green. Environmentally-friendly. However we refer to it, it is top of mind.Sustainability is about how your company and its products are affecting, and trying to achieve balance within the economic, social and environmental systems. This isn’t just an issue for the “big” companies. Regardless of size, every company and its leadership team needs to be exploring what green and sustainability means for the company and its products. Because strategic planning incorporates opportunity identification, risk management, talent development, and financial strategies, all of which fall within the domain of the C-suite, sustainability which affects all of these should be the concern of the company’s leadership team. Practical green and sustainable solutions can help reduce risk, meet compliance, and create market opportunities. There are many ways for a company to integrate green into their strategic plan. For example in October of 2007, P&G announced a corporate strategy around three goals: developing and marketing $20 billion in sustainable innovation products; improving the environmental footprint in operations; and the social sustainability area of increasing the number of children in need that they reach. Fast forward 6 years-the results? $52 billion in sustainable product sales as of 2012, a 68% reduction of waste disposed, and over 400 million children helped that were in need. is important enough to appoint someone as a champion of their sustainability initiative. While being green is quite appealing, the journey takes time, investments, resources and commitment. You will want to establish performance targets and success metrics to help monitor the return on this investment. Is it worth the investment? The research suggests that it is. Sustainability is beginning to impact a company’s reputation. According to the firm, Conscientious Innovation, more than 70% of consumers link social responsibility to a company’s environmental behavior. Given the trend, sustainability in all its forms is becoming a necessary part of the way a successful company does business. And a recent study by Forrester revealed that 63% of US adults claim that they are concerned about the environment as a whole, and these concerns translate into spending changes. As this trend continues it will be important for every company to have a green marketing strategy designed to boost sales and increase loyalty. These two metrics – sales and loyalty – should be used to determine the success of your efforts and the return on your investment. To get started you will want to create a roadmap to “sustainability” that identifies the strategies and tactics you will deploy.This roadmap should be integrated into your strategic, operational, and marketing plans. It might help to provide some examples of companies who have already embarked on the journey and what they are doing. 1. Establish a Chief Sustainability Officer or a similar position to head your effort. For Mitsubishi, this is their President and CEO, Ken Kobayashi. When the CEO is the Chief Sustainability Officer, it signals the important of environmental and green considerations within the company. At P&G, Len Sauers serves as the Vice President of Global Sustainability. 2. Create a cross-functional team. Herman Miller has what they call an Environmental Quality Action Team (EQAT) which is composed on employees from across the company who address all the multiple components of the green strategy. 3. Assess your carbon footprint. The first thing the team should do is assess your current carbon footprint. The carbon footprint is a way to measure the impact your organization’s activities on the environment in terms of the amount of greenhouse gases produced. Every aspect of your carbon footprint needs to be inventoried from activities having to do with how the company uses energy or the quality of your customer database in order to reduce direct mail waste. For example, Gwen Migita, Director of Corporate Social Responsibility recently reported that at Harrah’s Entertainment, which operates 51 casinos worldwide, and significantly leverages direct-mail after a substantial database cleaning efforts was able to cut its mailings to the 40 million customers in its database, saving the company $3.5 million. Often one of easiest ways to start down the sustainability path is by focusing on how to reduce your environmental impact from the extraction of raw materials, the production of goods, the use of those goods and management of the resulting wastes. 4. Develop new opportunities: Reducing your carbon footprint is one side of the equation the other is developing new initiatives. These new initiatives can take the form of new products, which is what Home Depot is doing around their Eco Options products or be in the form of take back programs where companies will for example take toxic chemicals back. If new initiatives are not something you can tackle solo, consider looking for a partner or making an acquisition, which is what Clorox did by buying Burt’s Bees. 5. Integrate your strategy into your business. The best way to approach green is to look for ways to integrate it into what you already do. For example, Armstrong International, Inc., is looking a number of ways to modify what they do today. This includes exploring how to return hot condensate to be reused, installing double-pane windows and low-fluorescent lighting, using gas fired hot water heaters to heat their buildings, monitoring air quality in the welding area, reducing trash by 10 percent annually, increasing the amount of recycling, eliminating the use of Styrofoam cups, reducing storm/sewer water discharge, and saving carbon dioxide by replacing travel with videoconferencing. A) Communicate this plan and status internally. B) Communicate this plan and your achievements to customers, prospects and other external stakeholders. C) Measure and report on results. This means your sustainability officer and the company’s marketing leadership will need to join forces. While the sustainability officer/department may be looking into the processes, practices and products that enable the company to become “more green” and manages the technical expertise; it is the marketing organization that is responsible for building and communicating the strategy. Your marketing organization needs to communicate how the end-user can be environmentally sustainable through the use of your products as well as the company’s progress with its sustainability initiatives. 7. Establish a company culture and align the business plan. All the best laid plans can go awry if the company’s business values and culture don’t support the effort. Part of the process will require you to set policy, implement changes, review successes and failures. Hold periodic sustainability milestone meetings to demonstrate your commitment, address issues, and measure progress. CEO Mike Duke of Wal-Mart takes this approach. Wal-Mart’s sustainability department runs lean with the focus on integrating sustainability into the overall business. efforts to track the degree of impact. This entry was posted in Alignment, Analytics, Customer Centricity, Marketing Accountability, Marketing and Sales Alignment, marketing automation, marketing automation software, Marketing Effectiveness, Marketing Management, Marketing Measurement, Marketing Performance, Marketing Strategy, Marketing Trends, Pipeline Metrics, Product Marketing, social media, sustainability, Uncategorized and tagged adoption rate, Armstrong, B2B Marketing, Big Data, carbon footprint, Chief Sustainability Officer, corporate governance, CSO, eco-friendly, EQAT, Forrester, go green, green, Marketing, marketing analytics, marketing dashboards, marketing metrics, marketing operations, marketing performance measurement, marketing plan, marketing research, marketing ROI, media and marketing, Mitsubishi, optimizing marketing, P&G, performance marketing, sales and marketing, social marketing, social media, strategic marketing, strategic planning, sustainability, Wal-Mart. Why is it marketers become so quickly enamored with the next shiny toy? And at what cost? What do I mean by “the next shiny toy”? For many marketers, the first new shiny toy came in the mid-’90s with the creation of websites. And even though email (initially known as electronic mail) started its humble beginnings in 1969, it wasn’t until the ’90s that it became a pervasive marketing channel. In addition to email, marketers chased another new shiny toy: Internet marketing. In 1994, zero dollars were spent on Internet advertising. By 1996, US companies had invested $301 million in Internet marketing, primarily in the form of banner ads and attempts to transform other offline advertising concepts to the Internet. We weren’t content, and before we figured out how to strategically use our new toys, we charged off into new territory. In 1996, Larry Page and Sergey Brin developed what would become the most popular search engine, Google, and marketers couldn’t wait to get their hands on this next shiny toy: search engine optimization and pay-per-click (PPC). In 1997, Jorn Barger coined the term “weblogs,” and marketing had another new vehicle for reaching customers. In less than a decade, marketers had led their organizations into new channels—without having mastered any of them. Still, we couldn’t help ourselves when 2001 ushered in the next shiny toy: Web 2.0, which facilitated online collaboration. MySpace entered the market is 2003 as the next shiny toy officially emerged: social media. With the ability to move beyond HTML to rich user interfaces, Flickr came on to the scene, followed by Google’s G-mail and the inauguration of Digg. Marketers experimented with and pursued social media to the fullest extent of their abilities. While we dabbled, mobile marketing hit the scene in 2001. And while we talked the talk, SMS technology didn’t become widely used until mid-2008. Our appetites for the new shiny stuff seem insatiable. This article isn’t meant to be “marketing media in review.” Its purpose is to demonstrate that marketers tend to race headlong, hell-bent after the next shiny toy. But at what price? I’d suggest at the price of our credibility and the opportunity to be perceived as a strategic player. Chasing the next new thing potentially portrays us as tactically opportunistic. If we want to be accepted as members of the strategic team, we have to exercise strategic discipline. That means we need to be concerned with making decisions that affect the direction of the organization and not just add a new toy in the box. When our enthusiasm (or that of our colleagues) convinces an organization to experiment with the next shiny toy without understanding the strategic implications, as marketers we are doing a disservice to the organizations we support and we’re presenting marketing as a primarily tactical function. So, am I suggesting we stop chasing the next shiny toy? No. But before we do, we should understand the strategic context and implications of doing so. Perhaps before we leap, we need to master the toys we’ve already acquired. Yes, our competitors may start using the next shiny toy first, but the misuse of a new shiny toy can be far more damaging. Customer and market demand. Have the customers you want to connect with and engage adopted the new channel, or are you getting ahead of them? Being first on the block may be irrelevant if the markets you serve or want to serve aren’t ready. The timing of deploying a new channel should be based on how stable it is and how familiar and comfortable people are with using it. Skill level. Do you and your people have the skills to successfully implement and use the new toy? If a successful implementation requires complex new skills, and if it is too time-consuming or costly to acquire that level of competence, it may be too soon for your organization to tackle the new channel. Payoff. New channels have a steep learning curve and are costly. The adoption of a new channel may require configuring systems, upgrading technology, or even adding new systems and training employees. Before you embrace the new shiny toy, develop and present the business case that assures your leadership team that the investment will pay off. Vehicle stability. Are the standards for the new channel or technology stable? The value of a new channel or technology increases once the standard of use is established. Otherwise, you may be in for a lot of rework—and that means time and money. Critical mass. One of the reasons new channels and technologies risk our credibility is that they often have relatively poor performance in their initial incarnations. A key strategic factor to consider before deciding to adopt a new channel or technology is whether there are enough suppliers in the market to make the adoption easy, cost-effective, and user-friendly. We’ve all seen how enamored children are with new toys. And we’ve also seen just how easily and quickly they can discard what was once so treasured and coveted. So although the new toy beckons, be sure you have the answers to those five questions before engaging in the chase. This entry was posted in Alignment, Customer Centricity, Marketing Accountability, Marketing and Sales Alignment, Marketing Effectiveness, Marketing Management, Marketing Performance, Marketing Strategy, Marketing Trends, Product Marketing, social media, Uncategorized and tagged Analytics, attention span, Big Data, brand marketing, data, google, management, Marketing, marketing metrics, marketing operations, marketing optimization, Marketing Performance, marketing performance management, marketing plan, marketing ROI, marketing trends, media, Metrics, new toy, performance management, sales and marketing, sales management, shiny toy, social engagement, social media, social trends, strategic marketing. The amount of data being generated is expanding at rapid logarithmic rates. Every day, customers and consumers are creating quintillions of bytes of data due to the growing number of customer contact channels. Some sources suggest that 90% of the world’s customer data has been created and stored since 2010. The vast majority of this data is unstructured data. It is not surprising, then, that study after study shows that the majority of marketers struggle with mining and analyzing this data in order to derive valuable insights and actionable intelligence. A recent report by EMC found that only 38% of business intelligence analysts and data scientists strongly agree that their company uses data to learn more about customers. As marketers we need to learn how to leverage and optimize this flood of data and incorporate it into customer models we can use to predict what customers want. Many marketing questions require being able to perform robust analytics on this data. For example, understanding what mix of channels are driving sales for a particular product or in a particular customer set or what sequence of channels is most effective. These types of questions often require large sets of data, or what is being referred to as Big Data. Big Data isn’t new; it’s just gone mainstream. A recent study found that almost half (49%) of US data aggregation leaders defined Big Data as an aggregate of all external and internal web-based data, others defined it as the mass amounts of internal information stored and managed by an enterprise (16%) or web-based data and content businesses used for their own operations (7%). Big Data incorporates multiple data sets—customer data, competitive data, online data, offline data, and so forth—enabling a more holistic approach to business intelligence. Big data can include transactional data, warehoused data, metadata, and other data residing in extremely massive files. 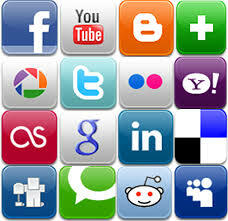 Mobile devices and social media solutions such as Facebook, Foursquare, and Twitter are the newest data sources. Most companies use Big Data to monitor their own brand and that of their competitors. The use of “Big Data” has become increasingly important, especially for data-conscious marketers. Big Data is a valuable tool for marketing when it comes to strategy, product, and pricing decisions. Big Data offers big insights and it also poses big challenges. A recent study by Connotate found the top challenge with Big Data was the time and manpower required to collect and analyze it. In addition, 44% found the sheer amount of data too overwhelming for businesses to properly leverage. As a result, many companies aren’t maximizing their use of Big Data. The effort however associated with managing Big Data is more than worth it. The promise of Big Data is more precise information and insights, improved fidelity of information and the ability to respond more accurately and quickly to dynamic situations. Clarify the question. Before you start undertaking any data collection, have a clear understanding of the question(s) you are trying to answer. Using Big Data starts with knowing what you want to analyze. By knowing what you want to focus on, you will be better able to better determine what data you need. Some common questions asked are ’which customers are the most loyal’ and/or ‘which customers are most likely to buy X‘? Big Data is about looking beyond transactional information, such as a click-through data or website activity. Clarify how you want to use the data. Will you be using the data for your dashboard, to define a customer target set for a specific offer or to make program element decisions (creative, channel, frequency, etc.)? they contain elements and dimensions relevant to your questions. Identify data sources that need to be linked. Once you identify the question and how you want to use that data you will have insight into what data you need. To run analysis 3 against data you will need to consolidate and link it. More than likely you will need to collect the data from disparate data sources in order to create a clear, concise, and actionable format. It may be necessary to invest in some new tools so you can pull and analyze data from disparate locations, centers, and channels. These tools include massively parallel processing databases, data mining grids, distributed file systems, distributed databases, and scalable storage systems. Organize your data. Create a data inventory so you have a good understanding of all your data points. Create a mock version of your data output. This is a key step to helping you determine the data sets. It will also help you with thinking about how you will convert the results into a business story. Smart marketers use the data to tell a story that will illuminate trends and issues, forecast potential outcomes, and identify opportunities for improvement or course adjustments. They use the data to gain big insights into customer wants and needs, market and competitive trends. Tackle Big Data and tap into big insights that enable you to take advantage of market opportunities, deliver an exceptional customer experience, and give your customers the right products when, where, and at the price they want. This entry was posted in Analytics, Marketing Measurement, Marketing Performance, Marketing Strategy, Pipeline Metrics, Uncategorized and tagged Analytics, Big Data, customer centricity, customer relationships, data, Marketing, marketing metrics, marketing operations, Marketing Performance, marketing plan, marketing ROI, measuring customer loyalty, measuring ROI, media and marketing, Metrics, performance management, performance marketing, social marketing, social media. CMOs and their teams are trying to determine the best way to create and measure customer engagement. As more customers connect via mobile and social channels this only adds to the complexity. Just as it took organizations time to learn how to leverage and manage websites, we are still learning how to leverage and manage these new channels. There’s no denying that social and mobile channels have become mainstream engagement vehicles that impact customer acquisition and retention. More of the marketing budgets are now being allocated to digital channels, taking these dollars from more traditional vehicles such as print advertising. The IBM Global CMO Study of 1700 CMOs revealed that while top marketing executives recognize social media as an important channel for engaging customers, 80 percent or more of the CMOs surveyed said they still focus primarily on traditional sources of information like market research to help shape customer engagement and marketing strategies. Only 26 percent of CMOs track blogs, 42 percent monitor third-party reviews, and 48 percent reading consumer reviews to help shape their marketing strategies. A more recent study by PulsePoint earlier this year found that companies with an established extensive social media presence reported a return on investment that was more than four times that of companies with little or no social network engagement activity. Almost half of the 329 executives participating in the study said that the major impediment to social media campaigns was the lack of a standardized metric that can measure a return on investment. These studies serve to remind us that examining customer interactions across the channels in order to have a holistic picture is important. They also highlight that measuring isn’t the challenge; it is measuring the business value of social media that remains difficult. In fact, there is no lack of data or metrics to track. As usual, the key challenge is selecting the right metrics and ones that are actionable. A key place to start is to determine what information actually indicates these stages of engagement that you can use to inform decision making. For example, how might you measure the quality and quantity of conversations started via social media channels and the conversion rate of these conversations to consideration behaviors, such as a particular type of inquiry. For example “liking” and “following” metrics may only reflect very early stages of engagement, such as contact or connection. Page views and click throughs provide insight into what captures interest and may also reflect early stage engagement behaviors. Ultimately you want to focus on social media metrics that help you understand how to impact the entire engagement cycle – from contact to conversation to consideration to consumption and eventually consumption and community. By adding these types of metrics, you can learn content and customer communication and interaction create both the most and best interaction and engagement. This entry was posted in Analytics, Marketing Accountability, Marketing Measurement, Marketing Strategy, Marketing Trends, social media, Uncategorized and tagged Analytics, blogging, CIO, CMO, consumer behavior, customer centricity, customer loyalty, customer relationship management, Marketing, marketing metrics, marketing ROI, measuring ROI, ROI, social engagement, social media, social media marketing. It doesn’t come up with a hypothesis and get the data to support (or refute!) your hypothesis. Sentiment analysis, content analysis, and Twitter search are not the same as doing research. Don’t get us wrong; listening is definitely good and you can learn a lot from hearing what your critics and supporters say about you. However, social media listening is not the same as identifying the questions you want to ask and getting the answers. Relying on the voice of the customer as it is expressed online is a reactive, rather than proactive, approach. Further, social media does not necessarily offer a representative sample. Therefore, how valid and reliable are the results? Provide qualitative insights. Many companies have successfully used crowdsourcing and targeted online communities to garner insights into customer wants and needs. Reveal unmet needs. Further, the qualitative nature of social media enables listeners to uncover potential unmet needs and learn things they never thought to ask about. Test ideas in real time. Once choices have been narrowed down, floating trial balloons on a social media network or community can offer immediate feedback. Collect data. And there is nothing to stop market researchers from using a social media-based data collection tool within the rigors of a well-designed study. ITSMA’s How Buyers Consume research shows that the market for complex B2B solutions has bifurcated into B2B social buyers and traditional buyers. We now have a business generation gap. Younger, B2B social buyers are online participating in blog and community conversations, yet there remains a still-large contingent of more traditional buyers. Companies have to be relevant to both audiences, and research—the proactive, objective, scientific kind—is an excellent way to gain meaningful, relevant insights into different market and customer segments. The bottom line is this: Social media listening, although an important tool, is not going to give you the insights into customer behavior that you need to innovate and gain competitive advantage. With social media listening, you’ll know exactly what your competitors know. Nothing more. Today’s marketers need to remember that one of their primary jobs is to provide the rest of the company with a window into the customer. This takes research. Marketers need to reexamine their priorities and determine how they can best allocate their resources to retain and grow their business with existing customers and provide deeper insights into buyer behavior. Social media listening is but one view of the customer and will not provide this insight. Social Media listening does not replace research. This entry was posted in Analytics, Marketing Measurement, Marketing Trends and tagged 2012 MPM Study, B2B, ITSMA, Marketing Performance, research, social media, VisionEdge Marketing.